Aizawl, Mar 31 : Terming the quick succession in which the Centre has transferred and sacked Mizoram’s Governors as “disrespectful”, the state’s largest students’ body Mizo Zirlai Pawl (MZP) on Monday said it will carry out street protests, lay siege to central government offices in Aizawl and hold protests during President Pranab Mukherjee’s visit, scheduled for April 9 and 10. In a statement issued by the MZP general secretary Ramdinliana Renthlei, the student body said it considers the spate of sackings and transfers of Governors “disrespectful” and shows how the Centre looks down upon Mizos. “The MZP cannot accept with equanimity the fact that the Centre uses the state to dump those Governors it abhors or wants to resign. Our land is not a place where you can just throw what you consider garbage,” the MZP said. 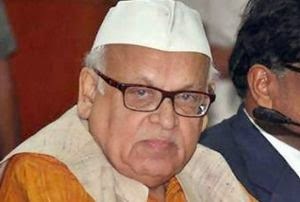 The student body said it will hold protests outside the Raj Bhavan when West Bengal Governor K N Tripathi, who has been given charge of Mizoram after the sacking of Aziz Qureshi on Saturday, arrives for the swearing-in ceremony (The date has so far not been fixed). It also said it will lay siege to all central government offices in Aizawl to stop employees from entering the buildings for work and put up black flags in all the buildings hosting these offices. “The MZP will also hold a protest when the President of India arrives to preside over the convocation of Mizoram University,” the statement said. Mizoram has the odd distinction of having seven governors in nine months.